HOW TO MAKE EASY MONEY WITH DOTERRA! Yes, it is uber-easy to earn money with Doterra! When you spend $125, you automatically become eligible to receive commissions and earn a free product of the month! 4. Sign 3 (three) people up who also commit to spending $125 per month, etc. It is incredibly easy to spend $125/month with Doterra - I always spend more - I use essential oils in my Day Spa and at home....soooooo many uses! Why wouldn't you want some extra "fluff" money to spend????? Skin Care By Jewls, LLC is proud to announce her newly formed Professional Skin Care Line, Black Diamond Professional Skin Care, available now at the Day Spa and on her online Shopping Cart. My Favorite Scrub of All-Time!!! Skin Care By Jewls has been using Professional Skin Care Lines since becoming an Aesthetician in the year 2005 in AZ. 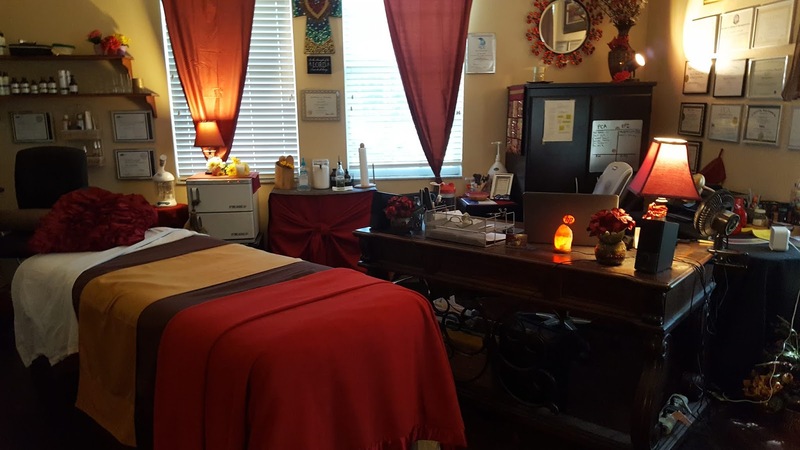 After learning much in regards to cosmeceutical ingredients and how the industry is constantly changing, Jewls decided to incorporate her own products into her Day Spa and skin treatments to offer a unique variety that no other spa offers. After having to discontinue two former skin care lines (Rhonda Allison & Epicuren) from my practice and for various reasons (mainly pricing and political), Jewls decided it was time to carry her own high-end brand to keep quality high and costs affordable. The Black Diamond Skin Care Line beautifully compliments PCA Professional Skin Care line (which I carry here at the spa). I consider Black Diamond Skin Care my "Luxury Builder Line" and PCA Skin Care as my "Corrective Line". 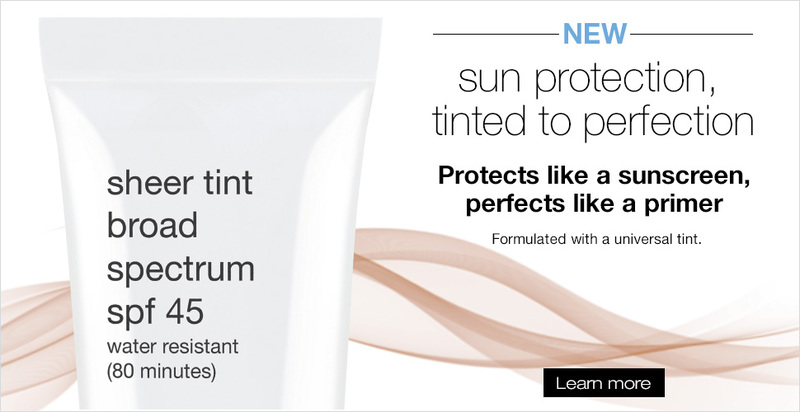 In short, the Black Diamond Line is a complimenting addition to Skin Care By Jewls' practice. EXFOLIATION - PHYSICALLY & CHEMICALLY FOR GORGEOUS SKIN! Cleansing and Exfoliating properly is the foundation for healthy skin. It only takes about 5 minutes morning and night to properly cleanse your skin. Then, when products are applied topically, they can actually penetrate the skin at a deeper level and do what they are designed to do! Also remember, dry skin is DEAD skin! Correctives, peels will promote dry skin because they are causing "cell turnover". What you want to do is gently exfoliate that dead skin to reveal new, baby smooth skin. Make sure you are using professional products so you dont irritate that skin - red, irritated skin is typically mistreated skin, not Rosacea. Please also keep in mind, when you exfoliate, as I advise, using OTC (over-the-counter) products will probably "irritate" the skin due to inferior ingredients penetrating the skin at a deeper level. You will save money by learning the proper techniques on skin care and how to use Professional Products as directed for the absolute best outcome. Join the VIP program to save $$$ on Professional Treatments and 15% on ALL Professional Skin Care. Cleansing and Exfoliating (physically and chemically) are vital for healthy, strong skin. It is also Vital to use quality, professional products properly! Many times people may have the right products, but aren't using them properly or enough! If you have a product opened for over a year, you aren't using it properly and throw it away - it is too OLD! Well, it's been about a year now since my last Blog. Time sure goes by when there's a lot of stuff happening (good or bad). Anyway, I would like to take the opportunity to discuss a little about Microblading (the way I do it) and how it can benefit you. 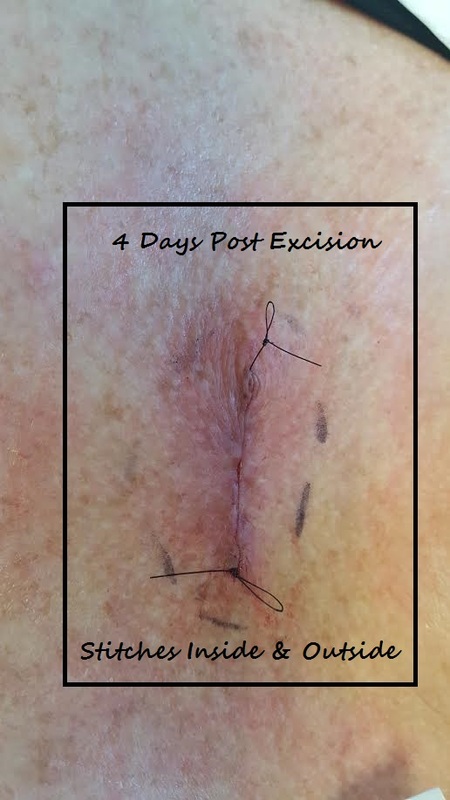 This is the time when technology has truly innovated permanent makeup through the use of Digital Machines (this is what I use) to implant pigment into the skin with much more stability, depth and color. Pigments have also come a long way. I am very satisfied with both the digital machine and the pigments I use here at the day spa. Hairstroke Brows (Digital Microblading, 3D Brows) are an excellent way to enhance existing brows or even to create brand new ones! I use a digital machine with a single Acupuncture needle to create smooth, beautiful strokes with little to no, swelling or trauma to the skin. The brows look beautiful immediately after. They will be slightly darker initially for the first couple days. It is vital to take your post-care seriously in order to prevent color loss. My recommendation is two things: pat with water and a cloth gently and apply a small amount of A&D Ointment or Vaseline to the affected area for the first 5 days. Absolutely NO sweating, cleansers on the area. WHAT CAN HAPPEN TO MY SKIN IF I PURCHASE PROFESSIONAL PRODUCTS FROM UNAUTHORIZED RETAILERS (Instead of an educated, licensed professional Aesthetician/Doctor)? First, let me start this Blog off by saying this is a common occurence and I feel it is my responsibility as a Professional Aesthetician to bring to light some of the practices clients take in order to save a little money. This is not intended to offend anyone, simply educate on proper skin care for the best outcome for the client's skin health. Okay....I will use my two skin care lines as an example of "Professional Skin Care" - PCA and Epicuren - they will be referred to as PSC. These PSC lines educate us, your Licensed Skin Care Providers, in the line and how it works in the skin. We take continuing education classes and have certificates to show that we have the knowledge to make decisions on what is best for the clients skin. This industry is constantly changing and the ingredients in the products are "active" and designed for changing your skin for a healthy, more youthful appearance. The shelf life of products is typically one year. Organic products have a VERY short shelf life and if it is truly organic, once it is opened, it's shelf life is, at best, one month. Also, natural, organic products will NOT make change in the skin....it's like slapping some mayo on your skin and wondering why you still have hyperpigmentation.....this is where the Licensed, educated professionals come in. As a VIP Member, the client is REQUIRED to purchase their skin care from me and me ONLY. I always keep track of what my clients use so we can work TOGETHER to ensure the best possible outcome. I am performing "Corrective" skin work (chemical peels, enzymes, microneedling etc) which needs certain products to "build" the skin back up properly to enhance what is being done in the treatment room. When inferior products are used on newly exfoliated skin, the outcome is usually pretty bad! Red, irritated, bumps....this is NOT Rosacea, it is angry skin - it's angry that your using the wrong products on it. You will actually save money, and your skin will look gorgeous when working WITH your licensed professional and not trying to "cut corners" and save a buck! Now, clients who are not on my VIP program can come in and receive regular-priced treatments and use whatever skin care they wish to. Most clients understand that it is in their best interest to follow the recommendations given to them. But, unfortunately, not everyone does which is the reason for this BLOG. The client will actually save money in the long run (instead of having 20 different otc products on your counter) when following the recommendations simply because as the skin changes, it is necessary to use different products at different times for specific purposes instead of never acheiving the desired results from lack of understanding how the skin truly works. Are there truly benefits from receiving regular skin care treatments? CHEMICAL PEELS - There are many variations of skin peels available today! Light, Medium and Deep peels are available in many blends of acids. These acids are your friends! (ONLY when applied by a Licensed Professional - if done by yourself or an unlicensed person, serious burns, scarring and dark patches may be an end result!) I absolutely LOVE giving and receiving regular skin peels! They tighten, brighten and even out skin tone. A peel should be done every month and a recovery treatment done one week post. I like a Dermaplaning treatment to remove any remaining dead skin and to get that flawless, smooth skin for the follow-up peel treatment. FACIALS - Don't be fooled by previous skin treatments from other facilities. I use all active products to reveal brightly polished skins. Enzymes are amazing for exfoliation, hydration and vitamin therapy. If you dont know what treatment to book first, book "Jewls Signature Facial" and be amazed at your glowing skin when you leave the Day Spa. MICRONEEDLING - Now for those of you who want really extreme results, this is the treatment for YOU! Don't be afraid of the name. This treatment is unique to other facilities in that I provide many steps including 20 minutes of cleansing/exfoliation, Microdermasion etc. in the treatment. There is no pain involved as I use a topical anesthetic. Chemical Peels may be applied over the MicroNeedling for extreme results OR the skin may be infused with vitamins and Growth Factors for tightening and plumping of the skin. I actually Microneedle/Peel my skin every single month - I do not get Botox or Fillers - I maintain the integrity of my skin through monthly treatments and Professional Skin Care at home. Join the VIP Program for regular treatments at a HUGE savings! Oh NO! I Have Skin Cancer??? So a few years ago, I noticed a red spot - it was very hard to see as it blended in with my skin pretty well, however, I noticed it. It was located on my left, upper decollette (chest). As some of you may know, I grew up in sunny, SW FL (Naples, FL) and was a sun worshiper. Yes, the baby oil, the silver bikini - you name it. I didnt even start properly taking care of my skin until I went to school in AZ for Aesthetics. I was 34. 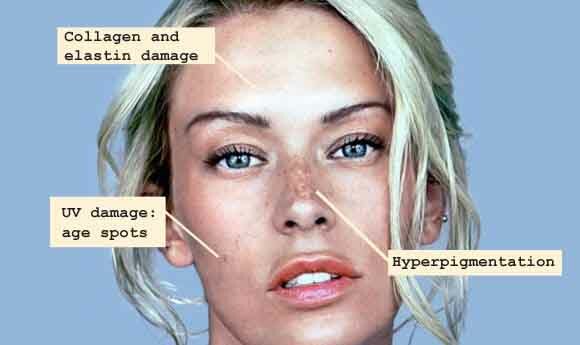 Sun damage shows up in the skin 20 years after initial exposure. We get enough sun exposure just running errands and doing daily activities. (unless you live in a cave or stay indoors all the time). Tanning beds are WORSE for your skin than natural sunlight. OTC (over the counter) sunscreens are inferior to most professional sunscreens and may actually cause further damage to the skin. It just is NEVER worth it to buy OTC products, PERIOD! So, the initial spot was "burned" off and I noticed it coming back maybe a year later. I wasnt really sure if it was the same spot so I wasnt really concerned. My insurance was changing January 1st, so I wanted to get everything done before the end of the year. 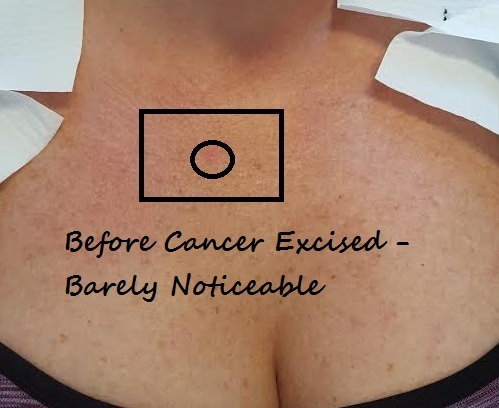 I made my appointment with the dermatologist and told them I wanted this spot biopsied (a client once told me she demanded a biopsy after her dermatologist said "it was nothing" and it turned out to be skin cancer). Well, long story short, this spot came back as skin cancer "Basal Cell Carcinoma". It is my opinion, that a stronger, healthier skin may help prevent future outbreaks and when you are properly caring for your skin (face and body), you will be more aware of spots, keratosis, etc. There are some professional spa treatments that will help remove keratosis (superficial bumps/growths) which include Skin/Chemical Peels, Correctives at home and even Body Peels. Please contact me if you have questions or comments via website SkinCareByJewls. Ever wonder why it is sooo hard to know who speaks the truth regarding skin care and what your daily skin regimen should be and by whom? Well, lets get a few things cleared up first. There are many quality Professional Skin Care Lines out there.....LET ME STRESS PROFESSIONAL! To get the most out of your skin care, save money AND get the best results, it is best to find a local Aesthetician in your area who specializes in one or two lines and is continuing education and learning advanced techniques about the particular skin care lines, how they effectively treat each unique skin type, may treat in-spa through regular facials/peels and can prescribe/offer retail for home to advance the treatments for optimal results. 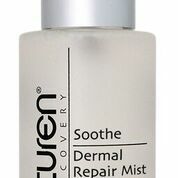 Whew....to sum up healthy skin in a nutshell is this....."BREAK IT DOWN AND BUILD IT BACK UP".....This is is simple as it gets - Exfoliate (break it down) and Re-Build (Peptide Serums)... just alternatiing treatments/facials as the skin reacts and adjusts to the topicals being applied. 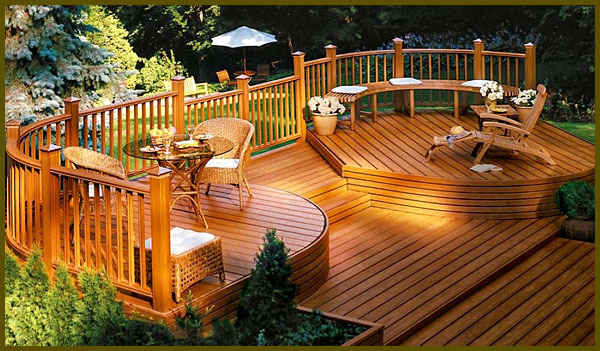 So, think of it this way - An old wooden deck needs some repair.....it needs to be sanded, buffed, stained to re-beautify the wood. The skin is that wooden deck - sand it down with physical/chemical exfoliation - through using a facial brush, scrubs etc. for physical and retinols, salicylics, glycolics etc. for your chemical exfoliants at home. At the Spa, get regular peels and facials to keep your skin in tip top shape!!! The staining of the deck (skin) are all your topicals - follow your Aesthetician's guidelines for proper applications. Using multiple products from various makers and overstripping the skin - using too many correctives without "building" the skin back up - You MUST BREAK IT DOWN AND BRING IT BACK! Please don't argue with your Aesthetician.....hopefully she/he is educated in their particular lines and really does care and know what is best for your skin and adjusts the products as the skin reacts and keeps the process going. Lastly, Aesthetician etiquette.....try not to mention Avon, Arbonne, Cetaphil, ProActive.....this is like a quick jab in the side to most of us....over the counter products and skin care marketed on the T.V. are not near enough quality to apply to your skin (especially when you are cleansing & exfoliating properly). The money is spent on advertising/rent etc.....not ingredients, education, research and improving the industry. WHY LEMON ESSENTIAL OIL OVER LEMON SLICE? LEMON ESSENTIAL OIL IN YOUR WATER? OVER LEMON SLICE? YES!!! Add a couple drops of Lemon or Graperfruit Essential Oil to your water bottle, and sip during your workout to help keep your metabolism humming. PCA - NEW RETINOL BOOSTER FOR THE TREATMENT ROOM! If you live in SW FL or any other hot and mild climate, then this article is for YOU! How do you treat the skin when the climate changes and there is a ton of moisture and heat in the air? That is correct! All the wetness that "sits" on top of the skin along with debris from the environment will actually "stick" to your skin's surface and even promote blockage of pores. This is more true of the thicker, oilier skins. How do you exfoliate more? You do this by using a facial brush (I sell them for only $4.25 each) with your cleanser every day. The amount of pressure used depends on the resilience (thickness) of your skin. The thicker your skin, the more pressure you will use. Use a light to coarse physical scrub every day to every other day - use this as a 2nd cleanse - not in place of your actual cleanser. Get your monthly peels done. Yes, MONTHLY. The more skin you remove, the more youthful, supple and healthier skin you will grow! There are all types of peels (light, medium and deep). If you aren't sure what peel to get, simply choose a light peel to start with. It is good practice to get a light peel, then a medium, then a deep and then cycle back around. Changing up your skin's treatments will keep it in "Tip-Top" shape! As mentioned above, you should be getting one peel per month and the 2nd treatment should be another treatment designed to repair/replenish the skin. I offer a VIP Program that significantly reduces the cost of treatments (including skin-chemical peels) as well as offer 15% off all Professional Retail at home. The above 3 items will eradicate any post redness/irritation. WHAT DO I USE AT HOME? It is vital to take care of your skin at home! PLEASE do NOT use over the counter products on your skin. There is absolutely NO reason to not be on professional skin care (especially when you have the option of receiving it at a 15% discount)! 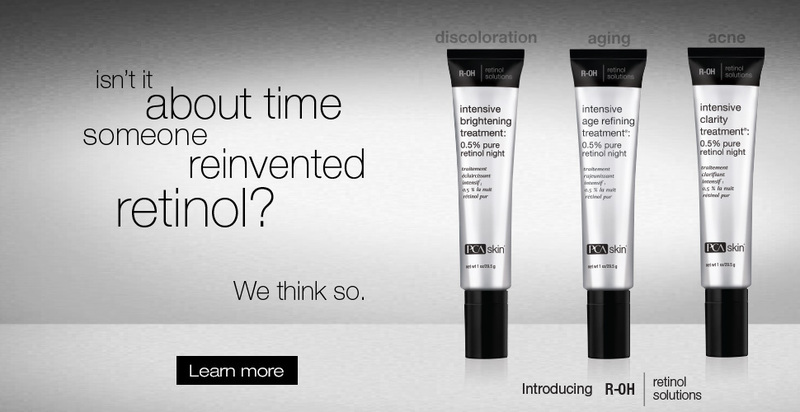 Why in the world would you get a professional treatment and use crap (yes, CRAP) on your skin? It is truly defeating the purpose. Yes, it makes a difference. With that said, you want, at the very least, a cleanser, toner, scrub, corrective, builder and an spf at all times on your countertop. You will then want to consider having a few of each to alternate and even layer to improve the integrity of your skin. 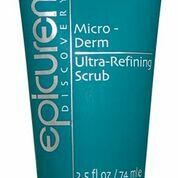 Microderm (Epicuren) - this is amazing - leaves your skin baby smooth! At Skin Care By Jewls, I carry both PCA and Epicuren Professional Skin Care Lines for both back-bar treatments AND retail. They compliment each other very well. PCA is my "Peel" and "Corrective" line and Epicuren is my "Builder" and "Luxury" line. I offer a 15% Discount Tuesday, the 1st Tuesday of every month. I just require to have your payment form on file prior to your order. Clients simply email me what product and size they want and I email them when their order is ready to either be picked up or shipped out to them. ***Please keep in mind that you cannot receive the discount from the online shopping cart *** Also, ALL VIP members receive 15% discount on all skin care, all the time. Please email me if you have any questions - it is my pleasure to help you understand your own skin. What is "Medi-Cupping" and the Importance of "Lymphatic Drainage"? We all know that exercise and eating right have many benefits for our bodies, especially as we age. We have also all heard the hype about lipo lasers, shots and all sorts of crazy things to help eliminate cellulite and stubborn fatty areas. Did you know that much of this "sluggish" debris is actually stagnant Lymph? The blood is always circulating due to the heart constantly pumping it. The lymph system doesnt have a heart pump to keep it moving and flowing efficiently. Medi-Cupping is a treatment which I offer that will get the lymph fluid moving and clear debris to exit through lymph nodes. In my opinion, cellulite is an accumulation of toxins that the body is unable to process because of the foreign bodies in it (ie. aspartame, chemicals, etc.) as well as just not circulating due to lack of motion (sitting, etc.). Think of it this way - Our blood has a "pump", it is the heart. Our lymph system does not have a pumping mechanism to keep the lymph fluid moving and as we age and build up toxins, this fluid that circulated on it's own, needs help "pumping" it in the right direction to exit the body. This Medi-Cupping treatment is an actual pumping mechanism that gently suctions and moves lymph fluids by placing the cups on specific target areas to help the lymph system move and circulate this debris out of the body. There are many added benefits than just simply moving debris. The suctioning action also stimulates collagen and elastin to "fire" thus, strengthening the underlying tissue. Lymph drainage is also performed on the face and helps relieve puffiness around the eyes and under the chin. It has a tightening effect on the skin and stimulates collagen and elastin underneath the skin as well. The benefits are numerous with this procedure. Read more about cupping here - click me! 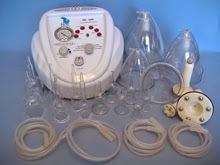 Click Me to View All the Medi-Cupping Treatments!